Details: Professional Office Building with 22,700 square feet of professional office space, 9,300 square feet of below grade parking, as well as 3,200 square feet of lease space. TRC worked very closely with Rice Fergus Miller to meet the challenges of taking the former Sears Allstate Auto Center, a 1948 building that had been abandoned for 24 years, and convert it to the new offices and studio. The project is conceived as a laboratory for innovative design and experimentation, combining sustainable energy and water use features with the recycling of an abandoned and forgotten downtown building shell. 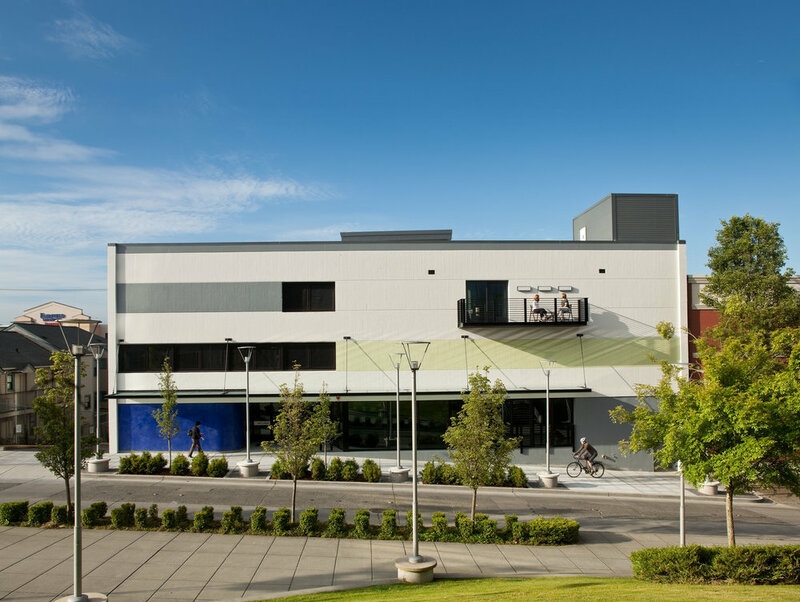 The project has been awarded LEED® Platinum certification and is the most efficient building in the Puget Sound area.